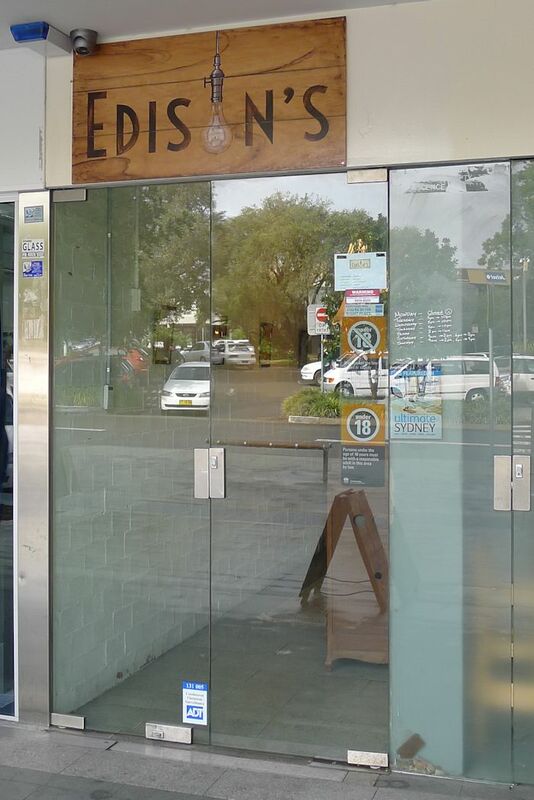 I recently had the pleasure of attending the opening night of Edison’s in Mona Vale. Its arrival was heralded by unique, genius cocktails, friendly staff and a knack for producing delicious sliders and crab rolls in one of the smallest kitchens I’ve encountered in my exploits. Now that they have found their feet, I figured it was time to see just what they had to offer on their brand new breakfast menu. On this cold winter’s day, the only way I knew they were open was the small chalkboard outside. 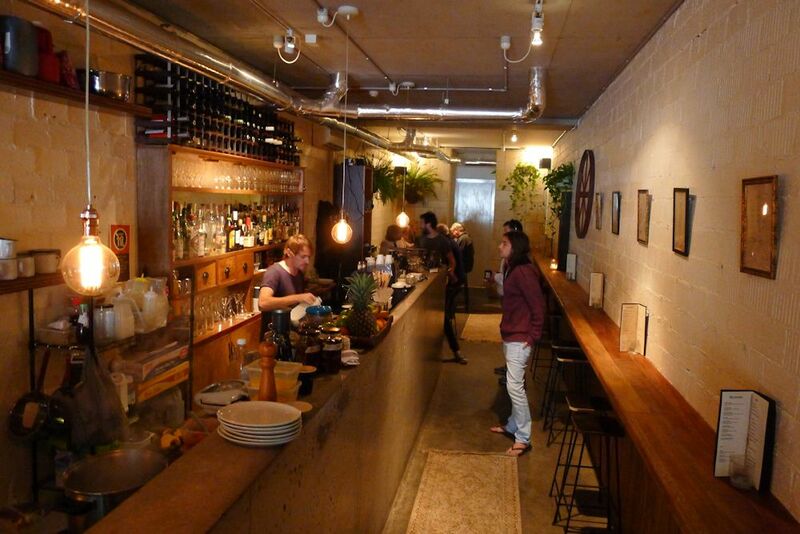 The interior is long and narrow but they have used the space very well. This is primarily a cocktail bar so the long bar takes centrestage. Owners Mark and Aoife are responsible for the design (and construction) and they have managed to achieve a rustic, industrial look yet with the subdued lighting, greenery and friendly smiles, you’ll be cosy and feel right at home. 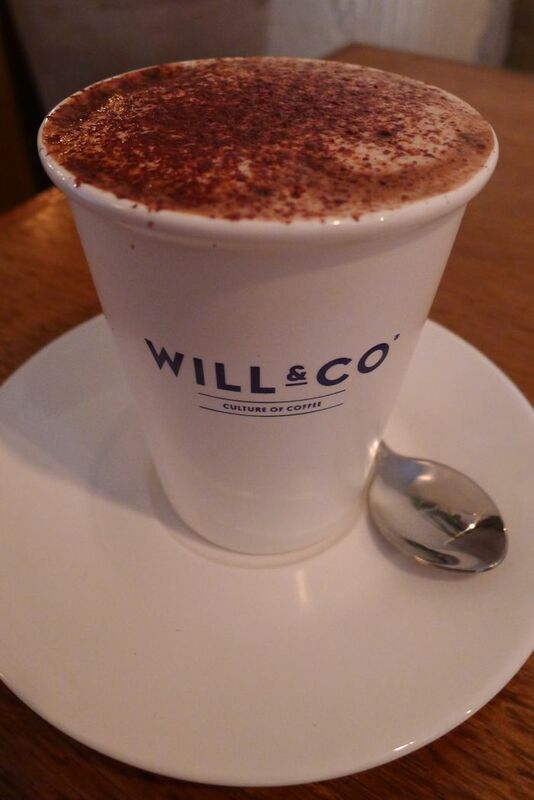 I hadn’t experienced Will & Co coffee ($3.50) before but I can say that I hope to again! Elegantly served with two varieties of sugar cubes, our cups were produced promptly and impressed everyone at the table with the deep flavours. It’s no surprise we went back for seconds. 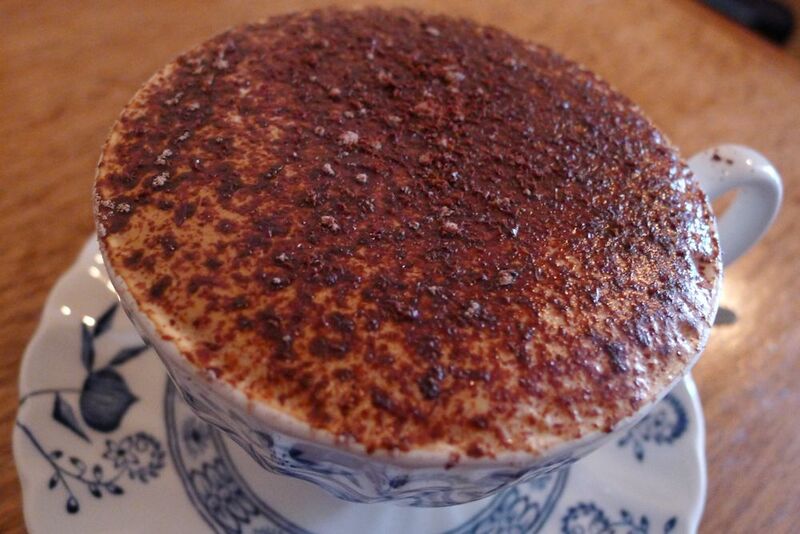 The hot chocolate ($3.50) was thicker than usual and definitely one of the better brands we have tried. 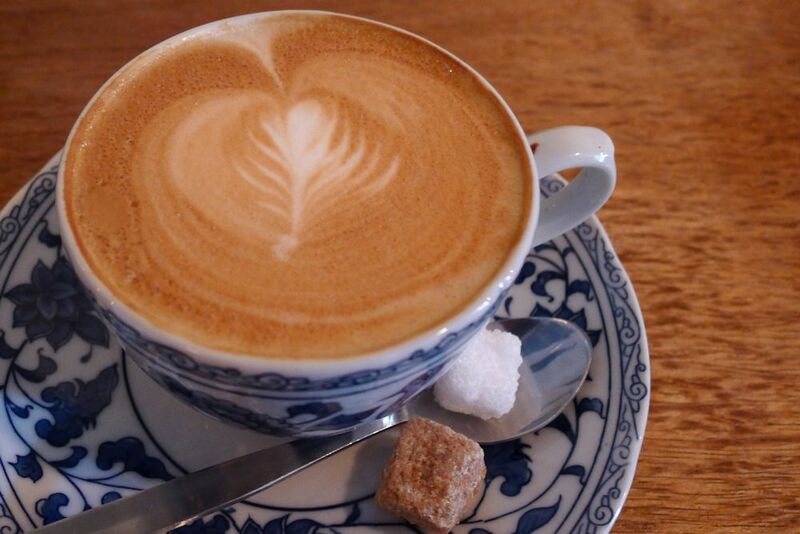 While the cup that it was served in looked like paper, it was actually porcelain. Freshly squeezed orange juice ($4). I wouldn’t have my orange juice any other way and for $4 this king of morning beverages comes chilled and refreshing. Because of the cramped cooking quarters behind the bar, Edison’s had to think smart. 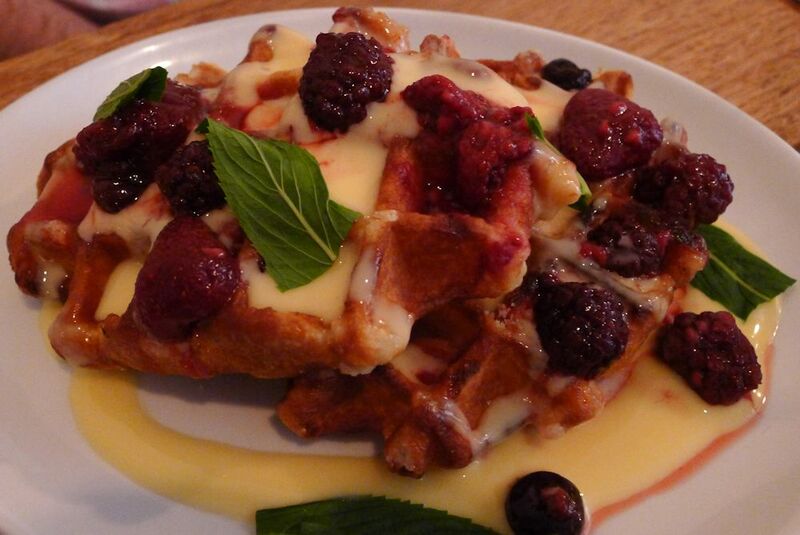 Jaffles and waffles dominate the breakfast menu which could go very well or very badly. 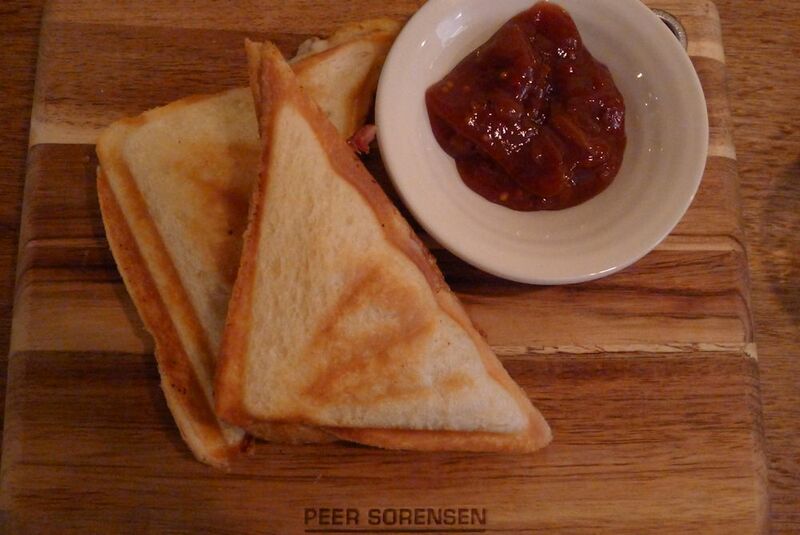 Well the jaffles were served elegantly and with differing sides depending on which version we had ordered. The ham hock and queso ($9) comes with a sweet, chunky tomato relish. The interior was exactly what I wanted: copious amounts of ham and cheese that strings between the pieces as you cut or bite. While the relish was tasty, I didn’t even need it. Simple but a winner in my books. 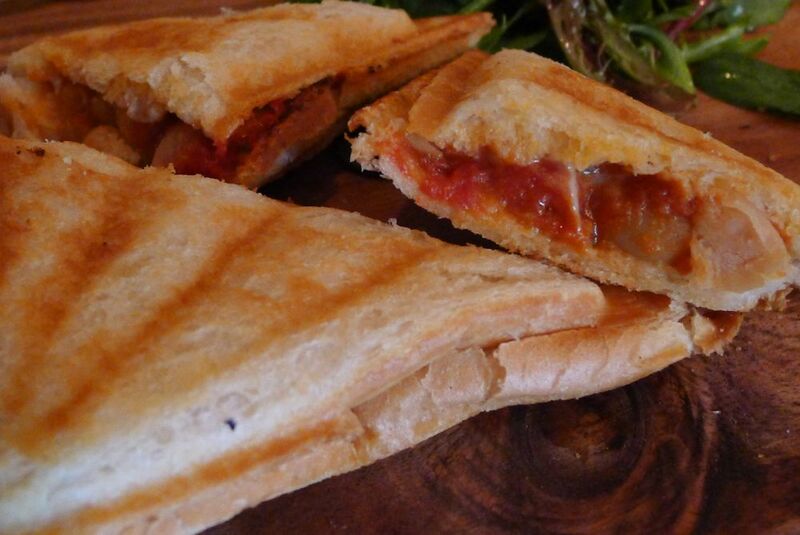 The chorizo and house made baked beans jaffle ($9) again came overflowing with the promised ingredients. A touch of heat from the chorizo and for once some baked beans that were not too dry! There are two other varieties of jaffles available: spinach, mushroom and goats cheese or Nutella and banana served with vanilla ice cream ($9 each). I wanted to try more than just one dish and I’m definitely glad that i ordered the brekkie sliders ($8) as well. You’ll get two on the board and while this may seem perfect to share, I wanted it all! I actually can’t fault this stack. 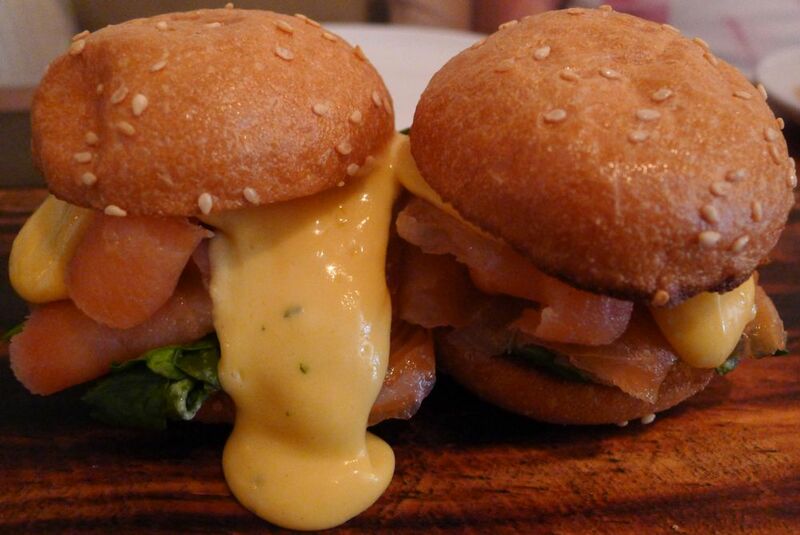 Salmon (and there was plenty) and spinach work beautifully together but the hollandaise was an absolute winner. Talking with the chef, he explained the ingredients he uses but it’s the touch of vinegar and combination of herbs that result in an unmistakably smoky flavour that made this my winning dish of the morning. While I love my waffles, I was initially dubious when reading about them being included on Edison’s menu. The result can look clumsy on the plate and be overloaded with sweetness. But we actually have here some waffles I can recommend! Two waffles on a plate either plain with maple syrup or with chocolate sauce, banana and ice cream or as one of my guests chose; poached berries and custard. 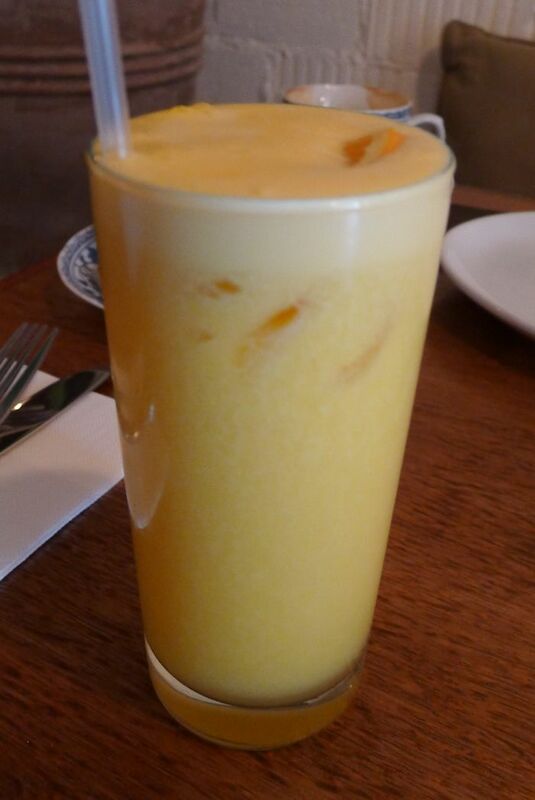 Custard fans need to choose this dish or at least share it after breakfast. The waffles themselves were toasted just right with a slight crunch on the outside. Other dishes on offer for breakfast include a variety of Sonoma bread with condiments ($5), free range eggs on toast (poached or scrambled, $7.50) or a variety of pastries and cakes of the day. You don’t want to miss the cocktails at night though. They’re imaginative and I can guarantee that they’ll be some of the best you’ve tried. 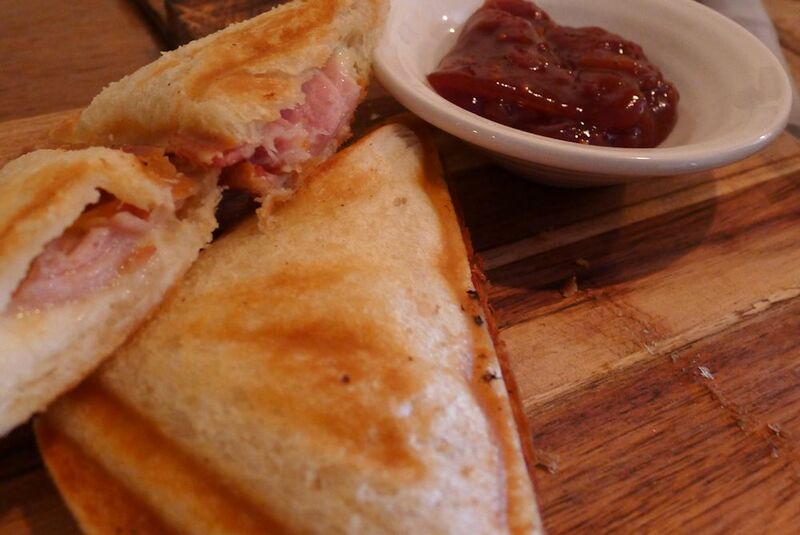 A passion for food and drink is what I have discovered about the hosts of Edison’s. It shows when talking to them and it shows on their plates. Be sure to drop by for a great experience morning or evening! This entry was posted in Sydney - North Shore and tagged Disabled access, Free range eggs, Fresh fruit and vegetable stores close by, Parking close by, Reasonable prices. Bookmark the permalink.